Both Battle Armor variants (The Clan's Longinus and Inner Sphere Elemental) have no restrictions on the weapons they can buy. Battle Armor can carry two weapons, and hold up to 8 BA-SRM. These weapons and missiles can be purchased from some controlled points in the Terrain Control game-mode, Marked APC placeholders in Solaris Arena, any allied Structure (Besides the Repair-pad) and any Infranty carrying vehicle (APC, Goblin, or Hephaestus). Weapons can be dropped with the 'J' Key, and picked up with the 'F' Key (by default)- but cannot be sold back like a mech or vehicle. The Small Laser is the default weapon for any newly spawned Battle Armor. It's impressive range of 400 meters stands out amongst the lineup of other options, however- its paltry damage output makes it difficult to justify taking out of the hangar, save for very specific circumstances. In Terrain Control, this weapon can be a lifesaver for helping repel damaged enemy forces in a hurry, or capitalizing on an overreaching enemy in a factory-capable capture point to generate some extra CBills before buying your asset. The Small Laser is a laser weapon mounted on battle armor suits. The Battle Armor version of the small laser was derived from infantry support weapons, in this case the Support Laser. The process of converting it from a support weapon has nevertheless created a radically new system with far greater potential. The megajoules of energy unleashed by a small laser can prove deadly to a 'Mech, especially when used against gaps and gashes in its armor to target internal systems and ammunition bins to explosive effect. The *Light Machine Gun* is a sidearm that comes equipped to all Battle Armor suits; and is the only weapon that is not removed upon entering a mech or vehicle. While having low damage, this weapon can be fired in conjunction with a purchased weapon to increase damage output; and with a steady hand, this weapon at dropping opposing Battle Armor units. This weapon comes standard to every pilot and is retained when ejecting from a mech- Some pilots utilize this to handle opposing Battle Armor who are embedded within a point, or overwhelming a Battlemech unequipped to respond in turn. The Light Machine Gun was originally created by Clan Smoke Jaguar for use by their ProtoMechs, trading firepower for superior range and accuracy over traditional Machine Guns. Originally fielded only by the Clans, the Inner Sphere eventually created their own version of Light Machine Guns for use by Battle Armor by deriving the design from semi-portable machine guns normally used by infantry forces. 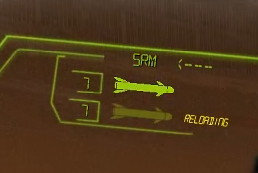 Each Battle Armor comes equipped with SRM-2 launchers, and can purchase up to 8 missiles. They load in pairs of two, which can be fired in quick succession or individually. The speed, splash radius and damage of these missiles excel in both removing enemy Battle Armor, and ablating Battlemech chassis. Used in conjunction with two other weapons while reloading, a nimble Battle Armor pilot can disarm or topple a mech' of any size. While perfectly accurate, the SRM-2 do have some recoil, and lack the ability to be used while zoomed in- putting most of their impressive 400 meter range to waste except for pilots with great skill in leading their shots. The SRM-2 is a twin-tube short-range missile launcher mounted on Battle Armor suits. SRMs were already one of the most powerful weapons available for conventional infantry, and so following their introduction they quickly became a favorite weapon of battle suit designs. More bulky than the portable launchers carried by infantry, the reliable SRM-2 benefits from the advanced fire controls and stability provided by battle armor while remaining smaller per tube than vehicular launchers. The Man Pack PPC (often abbreviated to mPPC) is a favorite of many Battle Armor pilots for a variety of reasons. Its impressive range is easily leveraged to both harass from afar, and to finish off weak opponents. It's large splash radius disorient opposing Battle Armor caught with an EMP effect, if they aren't already dead from a direct hit. 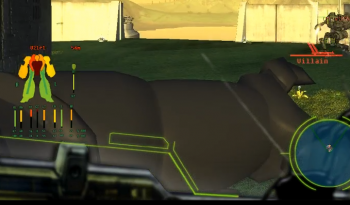 The recoil of the weapon can be used strategically to increase a pilots maneuverability, a godsend considering most Battlemech have the capacity kill a Battle Armor with a single well aimed shot. These incredible features are only limited by the long durations it takes to draw the weapon, compounded by the longer duration it takes to recharge a shot; and how the dazzling projectile is a bright arrow revealing the location of the Battle Armor who fired it. The Support Particle Projection Cannon (S-PPC) is an exotic energy weapon for battle armor based on the vehicular-scale PPC. New Samarkand Small Arms originally developed their Support Particle Cannon in 2436, long before the introduction of battle suits in the Inner Sphere. While technically easy to adapt the S-PPC to be mounted on the new platforms, battle armor did not start carrying particle projector cannons until the Draconis Combine introduced the Void suit in 3067. Since then the weapon has been mounted on the Combine's Kanazuchi, along with the Word of Blake's Shedu and Nephilim and the Taurian Concordat's Asterion. This Laser has the highest damage output of all the Battle Armor's available weaponry. A necessary addition to any loadout- focusing this laser in conjunction with BA-SRM can quickly destroy any component. Its pinpoint accuracy and incredible damage are only limited by the need to focus its relatively long burn on target, while not becoming an easy target yourself. An experienced pilot who can tame this jumpy beam can even utilize it as an effective means of removing enemy Battle Armor. The Micro Laser is a Laser weapon mounted on battle armor suits. The original Micro Laser was designed to be used by ProtoMechs, although it has disseminated for use by other units. The version mounted on battle armor is just as deadly as its vehicular counterpart but was derived from an infantry support weapon, the ER Semi-Portable Support Laser. The Recoilless Rifle is an adapted version of the self-same infantry support weapon which can be mounted on Battle Armor. Examples of these weapons were first employed by the Capellan Confederation during the Capellan-St. Ives War, mounting them on numerous field refits of the Inner Sphere Standard and Fa Shih armors. The Grenade Launcher rapidly fires arcing projectiles with a moderate splash radius. The explosion is large enough to damage multiple components if directed towards Mechs and Vehicles. This weapon can be especially deadly if focused on a Side Torso of an enemy mech, particularly after the armor is depleted and damage is redirected with a multiplier to the Center Torso. A great weapon for defending points in Terrain Control, with it's projectile arc it can be utilized from behind cover and the top of buildings with impunity. While the radius is too small to warrant it an effective weapon against other Battle Armor, a landing a direct hit with one of the grenades will kill an enemy Battle Armor, however it's a very tricky shot to land! A Grenade Launcher is an uncommon weapon used by Battle Armor. Automatically firing a string of grenades over greater distances with more accuracy than typical hand-thrown grenades, this weapon is devastating against swarms of infantry but unreliable against armored targets. The Inner Sphere armed their first native Battle Armor design, the Infiltrator Mk. I, with a grenade launcher but it proved unsatisfactory as a primary weapon. It was eventually redesigned into an infantry support weapon. The Small Pulse Laser is an effective general purpose weapon for novice Battle Armor Pilots. Respectable damage, range and accuracy make it very user friendly, and can burn through Mech armor and enemy Battle Armor alike. While temptingly easy to use, this weapon is often ignored by seasoned Battle Armor pilots who adopt a strategy of juggling the cooldowns of high-burst-damage weapons for higher damage output. The Small Pulse Laser is a Pulse Laser weapon mounted on battle armor suits. The weapon is equivalent to the vehicular Small Pulse Laser but is an extensively modified version of an infantry support weapon, the Support Pulse Laser, allowing it to be mounted on battle suits. The small pulse laser serves as a popular alternative to machine gun systems. The Medium Machine Gun is a very situational weapon to take, and doesn't receive a lot of gameplay. It does not deal bonus damage to Hovers or Tanks- like other variants of Machine Guns in the game, only bonus damage to Aerospace. It deals less damage than the Small Pulse Laser but does boast 100m more range- however it still has to be fired in bursts to avoid overheating. There is currently a bug in the ingame purchase menu where the range is inaccurately listed for this weapon. This weapon's range is 317 m.
The Medium Machine Gun is favored as an effective and inexpensive way for Battle Armor to combat infantry thanks to its sheer firepower and impressive rate of fire. First derived from infantry support models, in terms of capabilities it can easily rival its larger vehicular cousins typically mounted on BattleMechs and combat vehicles. The BA Flamer is one of the rarer BA weapons. The heat output is enough to shut down a distracted mech' in combat, however the large splash damage of this weapon is likely to kill the user if used carelessly. Nonetheless the flamer can be extremely effective if used in coordination with another Flamer equipped asset, or on a high temperature map- often enabling them to kill large targets faster than with conventional weaponry. The large splash can be utilized to kill enemy Battle Armor pilots that are hiding behind cover or in structures. A Flamer is potent incendiary weapon mounted on several Battle Armor designs, although it has more in common with vehicular flamethrowers than 'Mech-based Flamers. Lacking a fusion engine from which to draw plasma means a reservoir of combustible fuel must be carried to achieve the same effect. While smaller in size this Flamer is no less deadly than its larger cousins. A strategic tool instead of weapon, a Battle Armor equipped with a TAG rifle can mark enemies from 700m away. Given the small profile of the Battle Armor, if holding still- this can be done while practically undetectable at 700m. As a reconnaissance tool, this can broadcast the information and position of an enemy Radar Passive Mech. This equipment is the preferred choice of an APC driver for assisting a team built around long range missiles, or painting targets for an allied Long Tom. This page was last edited on 19 March 2019, at 01:59.